Twice each year, the EdUSA team at USEFP pulls out all the stops to organize what is fast becoming the most highly anticipated event for students, counsellors and parents in Pakistan. 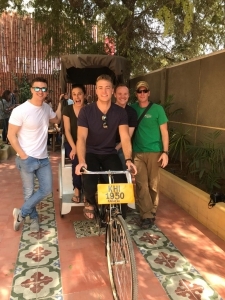 The biannual South Asia Tour, with its spring and fall chapters, has been growing from strength to strength, each event surpassing the previous one. 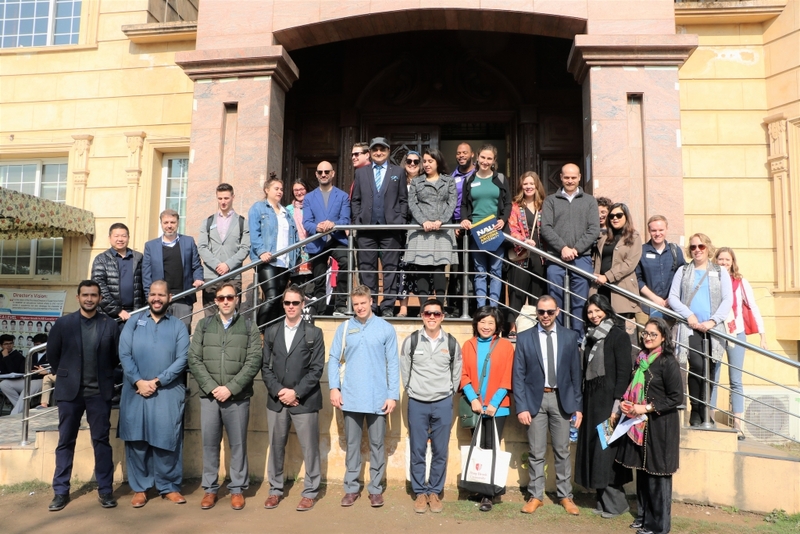 The 14th South Asia Tour, hosted in spring 2019, brought over the largest contingent of 41 U.S. university representatives to Pakistan, where they met with thousands of students and their parents. The aim of the tour is to promote U.S. higher education opportunities for Pakistani students by connecting them with universities in the U.S. 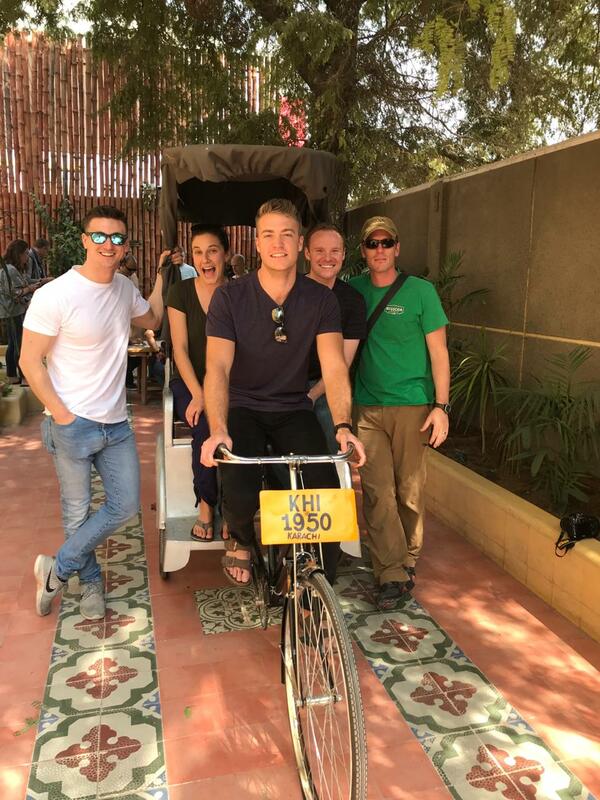 This year’s tour was hosted in Karachi, Lahore, Islamabad, and for the first time ever, in Faisalabad. 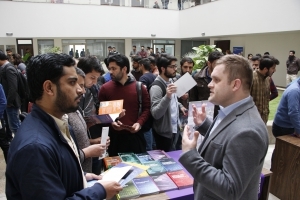 It included a College Fair, meeting with the Higher Education Commission of Pakistan (HEC), graduate in-house sessions, a visa briefing session, counselor’s academy visit, and meet and greets. 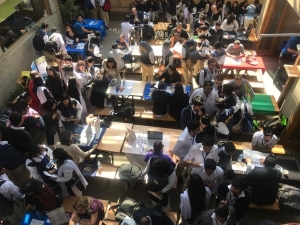 The U.S. College Fair was held in Karachi, Lahore and Faisalabad this year. 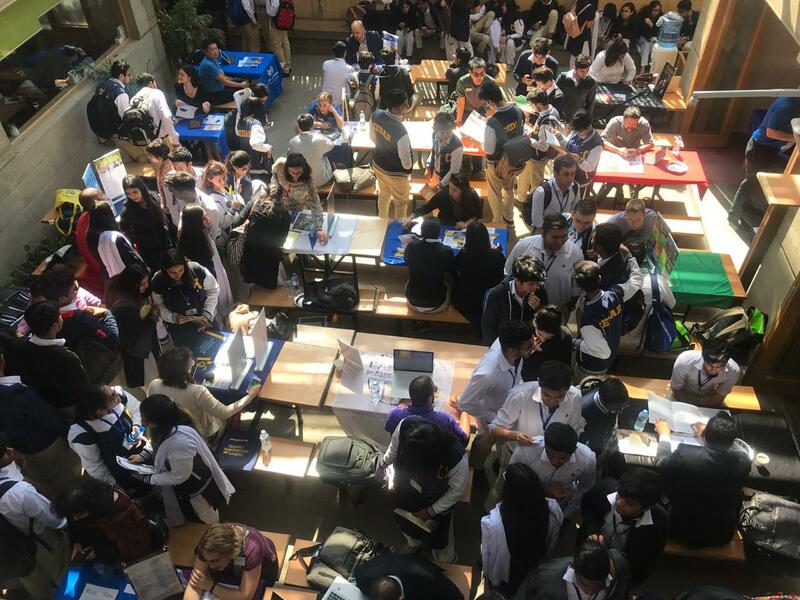 As always, the fair drew large crowds as students, parents, counselors, and local university officials, gathered enthusiastically to learn more about American universities, explore a wide range of academic programs, and receive first-hand guidance on applying for admission. The overwhelming response of participants reflected the growing interest in studying in the United States. 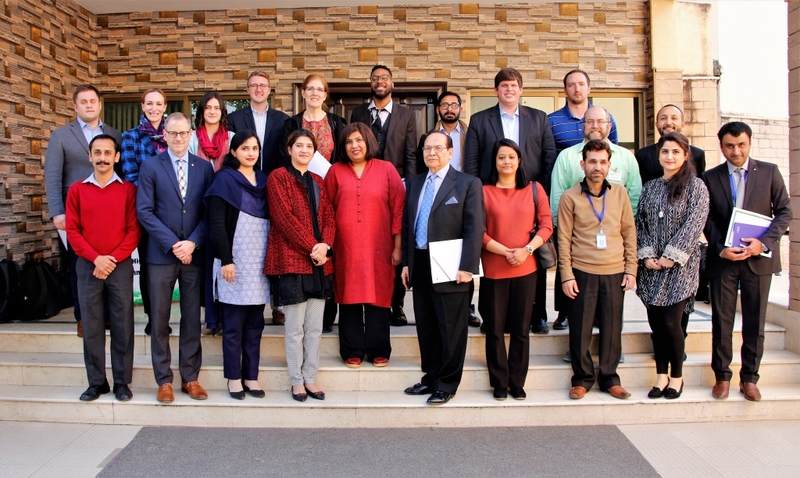 To discuss the possibilities of institutional agreements for admission of Pakistan students, representatives from 10 U.S. universities met with officials at HEC. The meeting was held in collaboration with the U.S. Embassy and USEFP, to strengthen bilateral academic relations and research linkages. HEC Chairperson, Dr. Tariq Banuri, appreciated the support of U.S. universities and emphasized the importance of enabling a culture of research in Pakistan. He stressed that cooperation in this regard can help Pakistani scholars. The representatives also visited schools in Islamabad, Lahore, Karachi and Faisalabad, to recruit high school students. The schools visited included Beaconhouse School System, Super Nova College, Froebel’s International School, Roots Millennium Schools, NUST, Bahria University, Roots School System, National Textile University (NTU), University of Agriculture, St. Michael’s Convent School, The Millennium Universal College (TMUC), SZABIST, Indus University, DHA Suffa University, Lahore College of Arts and Sciences (LACAS), Information Technology University (ITU), and Beaconhouse National University (BNU). 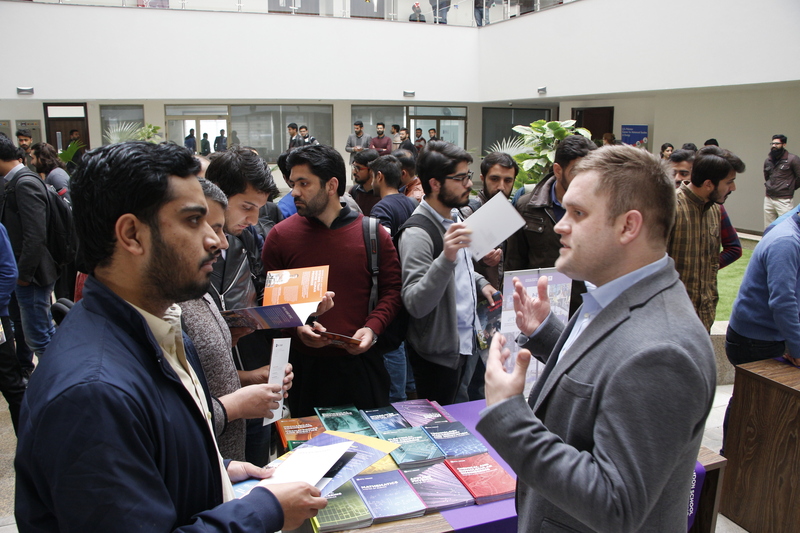 An in-house graduate camp was also held to answer students’ questions and tell them why U.S. is the right fit for them. These sessions were a great opportunity for students to discover numerous educational opportunities in the fields of engineering, social sciences, journalism, economics, and others. One of the highlights of South Asia Tour each year is the Counselors Academy, which provides higher education institutions and local school counselors an opportunity to gain knowledge about different programs offered by universities, making the application process smoother for students, and availability of resources for financial aid. The Academy was organized in Karachi and Lahore this year and provided a unique opportunity for counselors to talk through problems that students face while applying for higher education in the U.S., and network with visiting representatives. Chargé d’Affaires a.i. Ambassador Paul Jones, representatives of U.S. Mission in Pakistan, and HEC chairman Dr. Tariq Banuri attended the closing dinner organized by USEFP at the Fulbright House. Of the 41 U.S. universities represented, 10 were visiting Pakistan for the first time. They include Drake University, Indiana University – Bloomington, McNeese State University, New York Film Academy, Northern Illinois University, San Jose State University, Springfield College, University of Vermont, University of Wisconsin – Eau Claire, and Youngstown State University. Click here to watch the highlights of the spring 2019 South Asia Tour.